Using natural gas helps to reduce the amount of coal consumed and is therefore a more environment friendly fuel. 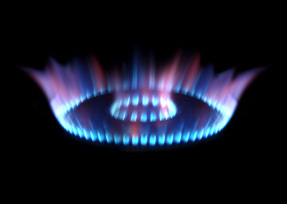 The main component of natural gas is methane, which is a highly inflammable gas. There are a number of ways in which natural gas can be used in an energy efficient manner. Here are a few tips that help to save on energy. Consider opting for budget billing from your local gas company. This helps in distributing the cost of natural gas through the winter by spreading it out over the entire year. Lowering your thermostat slightly will help reduce the cost of natural gas spent. Every degree of temperature reduced can lead to 4% to 5% savings. Managing with a slightly cooler home can help reduce needless consumption of energy resources. This can be effectively achieved by taking steps such as drawing the drapes when it becomes dark in order to prevent loss of heat through the windows at night and keeping them open during the day to allow natural sunlight to warm the interiors of the room. A well-planned house will help distribute heat within it. Small things go a long way in ensuring that your house in energy efficient. For example, taking care that there is no furniture placed in front of the heating registers that restricts airflow will allow for an even heating without stressing the heating system. Creating an insulated area to heat the room will help in maintaining the heat. This means that doors should be kept closed so that heat is not wasted by dissipating to rooms in which there is no occupancy. Also care should be taken to ensure that the insulation of the room is effective. Missing caulking in storm doors and windows should be replaced to prevent any drafts. Arrange for a good supply of air for all gas furnaces to ensure that the gas burns in an efficient and safe manner. Having regular maintenance of your heating and cooling equipment will help reduce the energy consumption of these units.